Check out some amazing ways you can make money by selling stuff and pay off your dues. One of the best and honest ways to get money from your unused goods is through a good, old-fashioned sale. Have you heard of a yard sale? It’s simple. You need to make signs and stick the board at your yard. You may also give an advertisement in your Facebook profile, your Twitter or your Google+ profile. It’ll give you a better mileage to promote the yard sale. While selling your things face to face, you must be ready for some heavy negotiation from the buyers. Basically, most of the buyers will be your friends, relatives or neighbors. Your neighbors will grab most of your stuff as they might have more interest than your family members and friends. 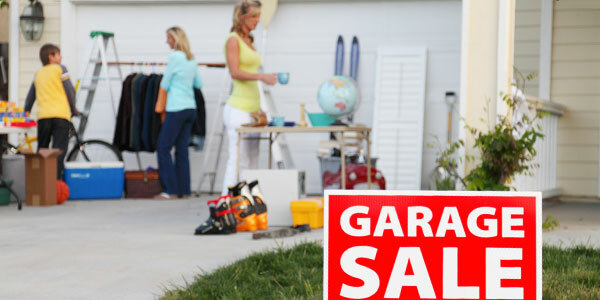 If you want, you can get help from the professional yard sale experts to manage the situation properly. If you want to get a good amount after completing the sale, stay firm at your prices and refuse any price that you feel is unjustified. If you don’t have the option to go for a yard sale, like you’re staying at an apartment, or can’t give away most of your stuff at a yard sale, you can enlist your items online for sale. Selling any stuff online is pretty smooth, and you can do it from your home, even sitting on your couch. Many online stores will provide you the offer to sell your own items through them. Among them, eBay, Quicksales, Craigslist are three of the most popular websites. The Craigslist and Quicksales have no fees related to the selling. But, while selling your goods through those online websites, you must look out for scammers. You can attract more potential buyers by taking colorful, cool images of your stuff and upload them with a brief description. Do you love drawings or paintings? Then you can portray your imaginations on a piece of paper or a canvas and sell your art through online websites. Those websites will accept and promote your vivid works like - prints, paintings, photography, sculptures, handmade crafts, jewelry, etc. Do you have a baby? Is he or she totally grown up? Then you can sell their used baby clothes, furniture, toys, feeding gear at a sale. You can put your used baby items to a local sale, tag your price, and then you’ll receive offers from several new parents. You can send newsletters to different potential buyers through e-mails. You surely have few old books laying here and there in your house. Do you want to keep them? Not sure? Then sell them. For online selling, submit the book’s ISBN and you’ll receive quotes from buyers. Get the quote and if it’s considerable, forward your books along with the pre-paid shipping label. Once the buyers receive those books, they’ll pay you via PayPal or check or fund transfer. You might have clothing stuff for both adults and kids that you no longer use. Clothes that you don’t wear anymore are normally dumped in cupboards, suitcases or under your bed. Do the needful. Sell your clothes through several platforms like - ThredUp or Poshmark where they’ll help you to sell your used clothing items. Do you have the creativity to make gorgeous handcrafts or jewelry? Do you make designed scarfs better than those which can be found in shops? Then you can try to promote your handmade stuff, vintage items, or handmade clothes on the Etsy or Craft Star. It has a nominal amount as the registration fee (probably .20 cents) for getting enlisted for 4 months. Once your product is sold, Etsy will collect 3.5% fee on the sale price from you. Do you have old electronic gadgets and commodities scattered over your living room? Don’t worry, pick them up and select which ones you really don’t need now. Then sell out those old tablets, smartphones, PC’s, laptops, and other electronic things on Gazelle.com. Through this website, you can buy and sell old used electronic stuff and get paid via check, Amazon gift card, or PayPal. The website also has an A+ rating with the Better Business Bureau. Do you still have gifts from your ex which you want to get rid of, but just don’t want to throw them in the trash? The best idea is to sell them through online stores like eBay, or put a status message in your social media profiles and ask for price quotes. From jewelry to handbags, from books to shoes, from coffee mugs to beer glasses, everything you can sell and earn money. You can sell your old, used CDs, DVDs, and video game discs at Decluttr. You need to submit the product’s barcode on the website so that you can get a price quote. You need to sell a minimum of 10 products per transaction and send the buyer with a pre-paid shipping label. Once the buyer get the items, Decluttr will send you a check.